Is the good fight really a bad thing if it’s meant to protect the order? Does silence speak volumes in shouting messages of change? Is the death of one worth many lives? Does the collection of expectations trap a soul or act like a passport of discovery? Is it insanity to search for missing people others never saw in the first place? Does the storyteller control the ending? Is it possible to leave a story un-? 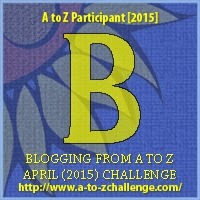 This entry was posted in A to Z 2015, Camp NaNo. Silence does speak loudly!!!! Unspoken words do change the world!